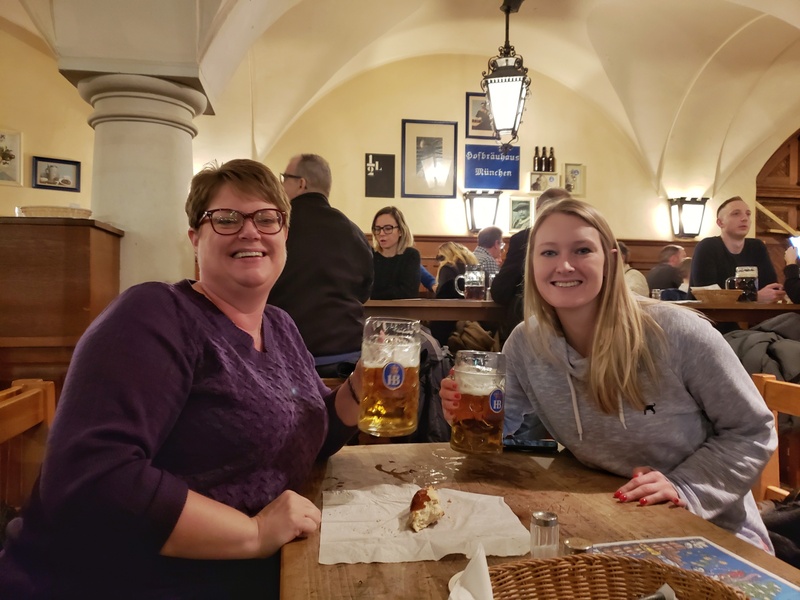 Jaci and I have been talking about visiting Germany frankly since our first European vacation in 2015 to Italy and Spain. 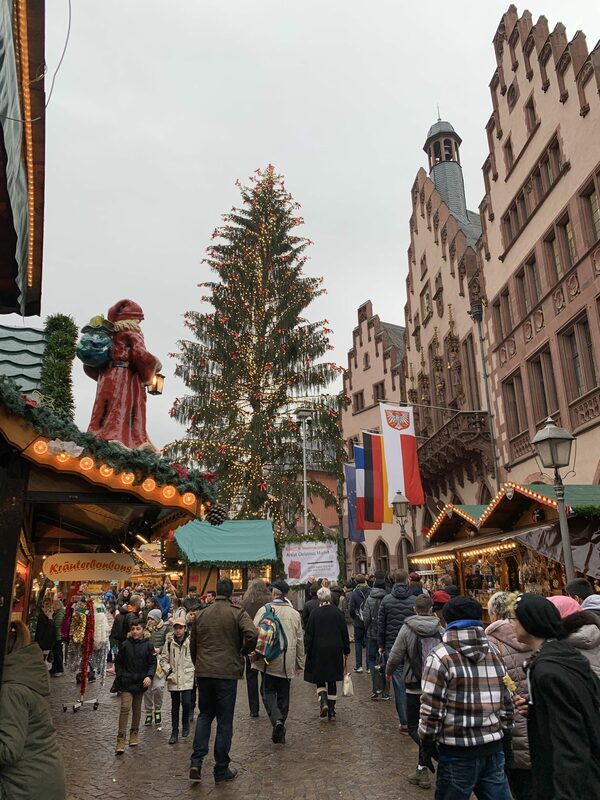 As I’ve written about previously, my family heritage is German, and it just seemed like a place I had to visit. 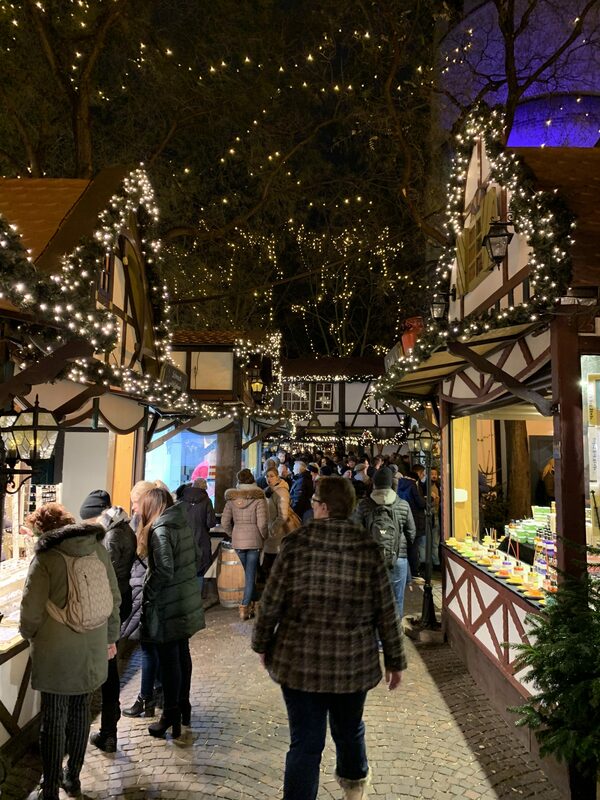 In 2018, we realized a trip at Christmas time was our best option and the abundant Christmas markets were going to be an added perk! Jaci and I flew out of Boston into Frankfurt to start our trip. 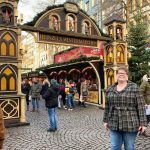 We picked up our rental car and headed downtown to see the financial district, but we immediately got sidetracked by our first introduction to the Christmas Markets. So many cute treasures I wanted to bring home, but Jaci reminded me we had several days of shopping ahead and limited space in our luggage, so we decided to eat our way through this market instead. We found out Kartoffelpuffer (German potato pancakes) are good with applesauce, but pretty amazing with garlic sauce. From there, we jumped on the autobahn for the first time and headed to Cologne. 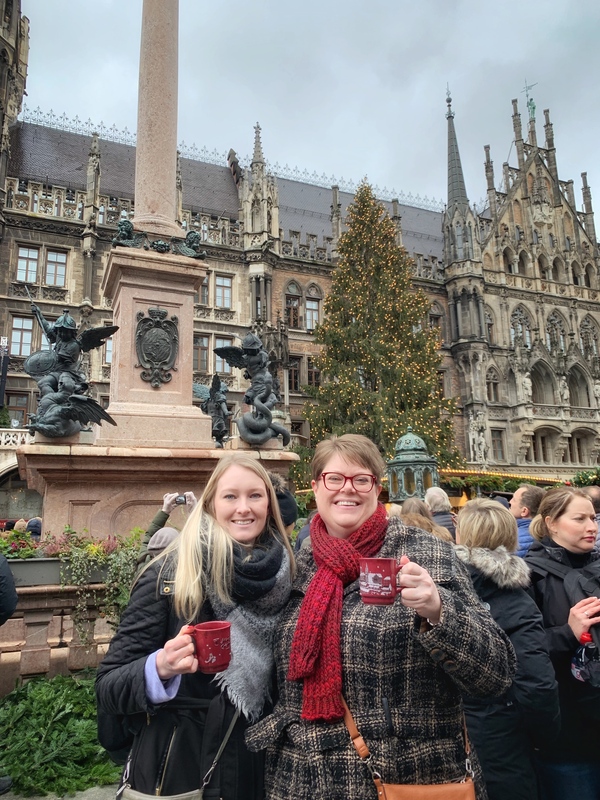 While staying in Cologne, we visited the Cathedral and had our first taste of our new favorite holiday drink, Glühwein (mulled wine), at the corner Christmas market. Obviously, the locals just come for the wine and socializing, because we had a hard time getting through the crowds to get refills. The next day we took a drive to see Ascheberg. 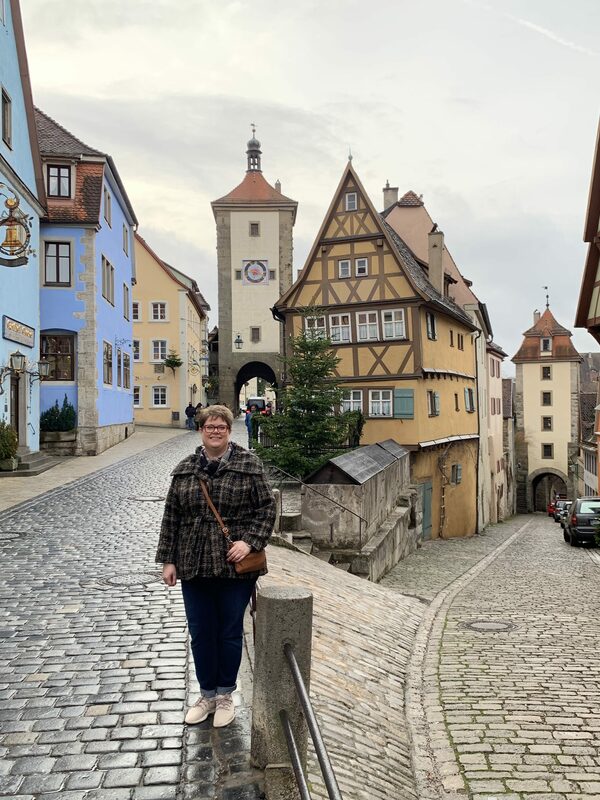 This is the small town where the Büscher family immigrated from in the late 1800’s and it was pretty cool to imagine my ancestors walking these streets. We were even able to find some long-lost relatives in the town cemetery (too bad they were below ground and not very talkative)! 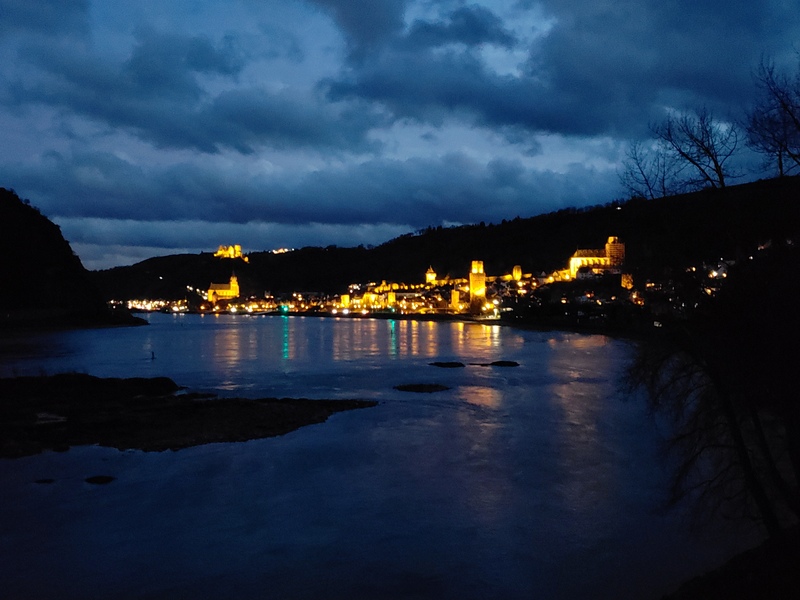 After Cologne, we drove along the Rhine River valley and played “I Spy” looking for castles on the hills and even stopped to tour one that was open in the winter – Marksburg. We eventually stopped for a late lunch and stumbled upon the awesome food known as spaetzle (picture Germany’s version of mac n’ cheese topped with crispy onion straws). After lunch the sun was already starting to set because of those short winter days. I was bummed that we were going to miss seeing more castles as we still had an hour and half to go to our Airbnb for the night. To our surprise, we actually found that many of the castles are lit up at night and stand out even more! Coming around one bend with 3 castles close together was worth us turning around to capture the picture. 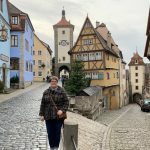 The next day we headed along the Romantic Road to spend the night in Rothenberg ob der Tauber. 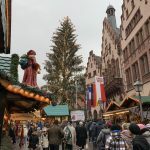 If you are planning a trip to Germany, do everything you can to spend a night in this little town! It is busy during the day, but the evenings and mornings were quiet and allowed us time to photograph the picturesque streets without lots of strangers wandering through the frame. 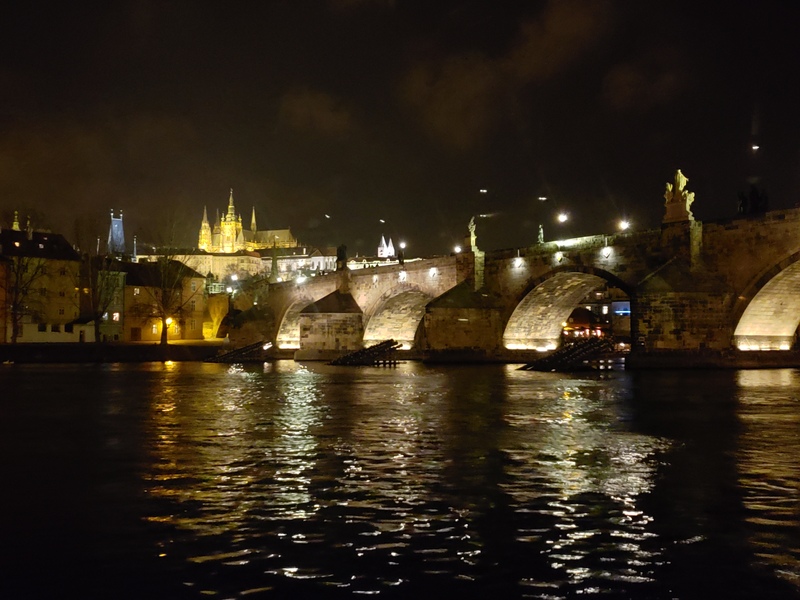 We took the night watchman tour in the evening and walked the medieval wall around the city in the morning light. Of course, we grabbed plenty of pictures at Plönlein before heading to Munich for our longest stay of the trip. 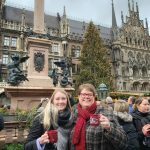 Munich is where our love affair with Airbnb hosts ended. After receiving the runaround for 2 hours trying to check into our apartment, we contacted Airbnb for help. 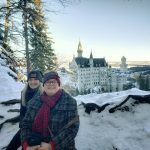 We ended up being refunded for our planned 5-night stay and found a hotel in the same area, with better amenities, AND a lower price so it all worked out. (A huge thank you to Airbnb for excellent customer service during a situation that really could’ve put a damper on our trip). 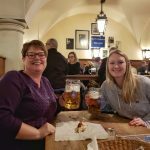 Munich beer halls were an every day experience while we were here, and it is where we found a great mix of other vacationers as well as locals willing to talk to travelers. Not speaking the language and trying to follow the lead of the crowd, we did find ourselves waiting outside Hofbrauhaus on Christmas Eve in a line offering free meals to the homeless. 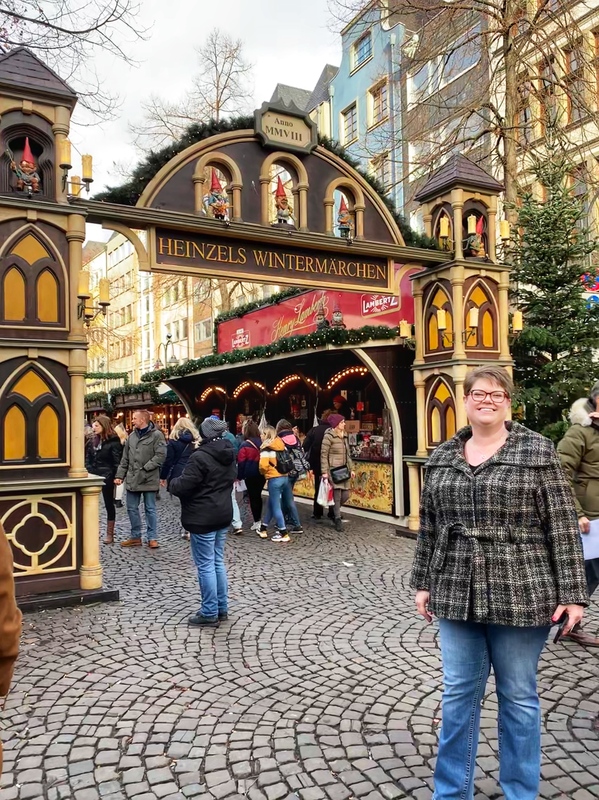 Once we realized paying customers could just walk in, we made our way to the doors for a liter and a pretzel that quickly washed away our embarrassment. 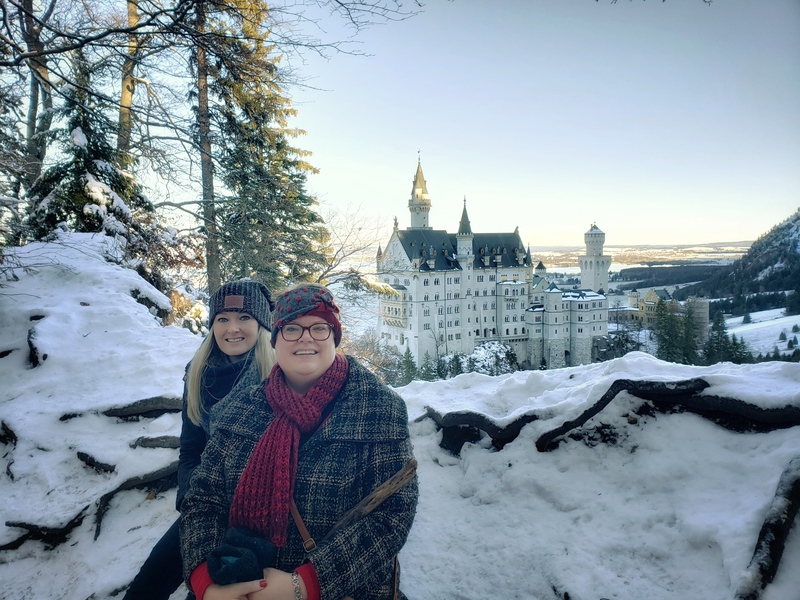 We made a trip down to Neuschwanstein Castle at the start of the Bavarian Alps and did a little winter hiking to find the perfect picture opportunity before touring the inside of the castle. The driving in Germany was a lot of fun. On the autobahn, the areas with no speed limit were both thrilling and nerve-wracking at the same time. Each day I worked up more courage to push the throttle, but each time I did, there was still someone passing me at faster speeds (even when I was going over 100 mph in the slow lane!). There were a couple things that amazed us though. First, if you have ever driven on the autobahn, you know that there is absolutely no passing on the right. EVERYONE followed this rule and we rarely saw police vehicles patrolling to encourage the behavior – it is just what you do! Second, our vehicle always displayed the current speed limit (or that there was no limit), so I never had to question what speed I should be going. When we got to the smaller roads, we found the countryside views were beautiful and (almost) wanted to slow down to enjoy them. 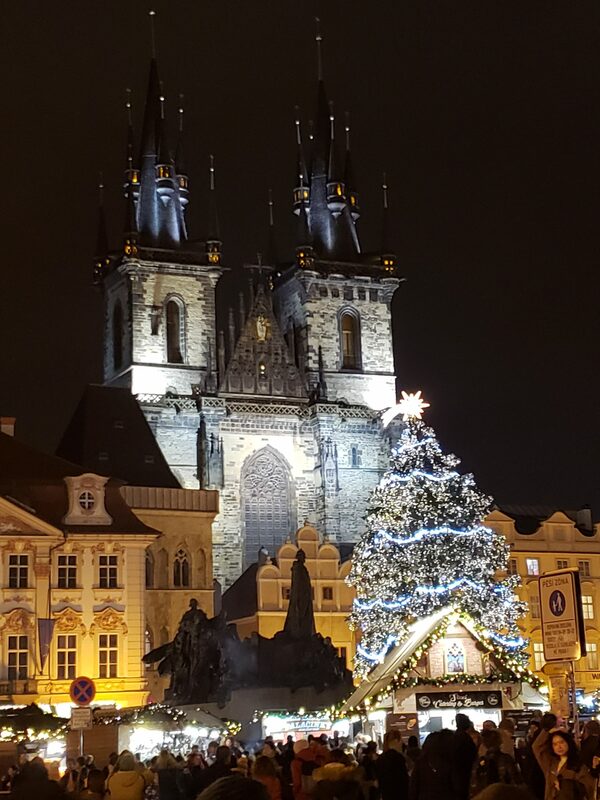 For our last 2 days of the trip, we took the train to Prague. Jaci had told me it was her favorite city to visit when she studied abroad and she really wanted to go back. 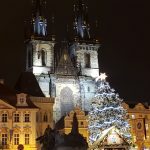 Even after all we had seen in Germany, Prague amazed me. Every street had gorgeous architecture and cobblestones making me want to take a picture at every turn. 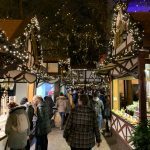 The Old Town Square was still full of vendors for the Christmas Market which meant, you guessed it, more food – these wonderful treats called Trdelnik. We ended our journey with a dinner river cruise floating along the city lights, listening to jazz music and reminiscing about all our adventures. 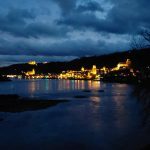 I look forward to returning to Germany one day during warmer months to watch the grapes growing along the Rhine and enjoy that liter under the Chestnut trees of a beer garden!